Kyiv Administrative Court of Appeal (KACA) has partially granted the request of lawyers for the former Georgian president and the leader of the Movement of New Forces party, Mikheil Saakashvili, to recuse a panel of judges. 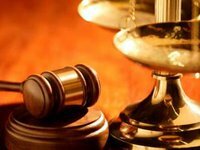 According to an Interfax-Ukraine reporter, after the return from the advisory room the court announced the decision according to which another court should decide on the recusal of the panel of judges. In this regard, the court has currently postponed the consideration of an appeal from the directorate of the State Migration Service (SMS) in Kyiv against the decision of Kyiv District Administrative Court, which rejected Saakashvili's request to invalidate the SMS decision to refuse to recognize him as a person in need of additional protection. Now, according to the procedure, another KACA panel should consider recusing the judges who were chosen to consider an appeal on the case of Saakashvili's status in Ukraine. If the decision is made to remove one or all judges of the panel, a new panel should be formed in KACA to consider this issue. Saakashvili's lawyer, Ruslan Chornolutsky, in turn, told Interfax-Ukraine that for an accurate understanding of the court's ruling on the defense team will need to study the full text of the decision, which it must receive within five days.